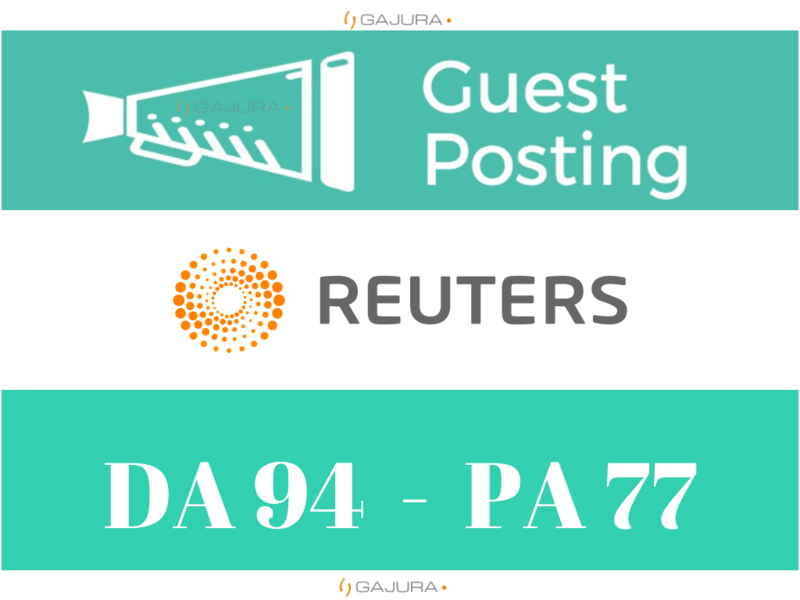 ✓ Improve Your Visibility With The UNIQUE Guest Post on Reuters.com having DA-94 and with a high-quality article including 500 - 700 words written by my team of writters. Unique opportunity on PeoplePerHour to get a link from a DA 94 domain. - You will receive an exact report including the link to the published post. - The article is posted on a high-quality website such as Reuters.com (main domain), with only unique content and few outgoing links. - the turnaround for the job will be 5 - 10 days. More restricted niches which cannot be accepted: Academic Writing Service, Adult Sites, Affiliate Marketing, Discounts, Drugs/Supplements, E-cigarette/vaping, gambling, hacks/cheats, lawsuit, loans/mortgages, making money online, online streaming sites, politics, private blog network, selling social media followers, weight loss. Please take note that the guideline is not limit to this list. For more details, don't hesitate to contact me before placing the order. High quality article and a nice DA93 PA43 link. Thanks!